Zsoldier's Tech Blog: NFS: Unable to create datastore: The specified key, name, or identifier already exists. NFS: Unable to create datastore: The specified key, name, or identifier already exists. Unable to create datastore: The specified key, name, or identifier already exists. Once the inactive mount appeared, I was able to unmount it, then remount the correct path. I found it interesting in that running "vicfg-nas <a bunch of connection options here> --vihost myesxserver -l" did not list this inactive path either. It might have shown up if I connected directly to the ESXi host w/ the vSphere client, but I did not check. Interesting. Let me know if you believe this is a bug and I'll ask the appropriate resource(s) to check into it. 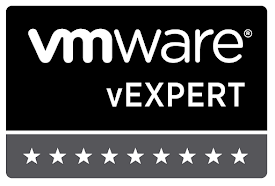 And congrats on vExpert recognition again for 2013. As an additional note, I could not see this "ghost" unmounted datastore from the vSphere web client, but I could see it from the desktop infrastructure client. As an additional note, I could not see this "ghost" NFS datastore from the vSphere web client, but I could see it from the desktop infrastructure client as shown in this post.